I’ve run six marathons and typically, I know how to train for them; following a 12- to 16-week plan that will build gradually in mileage so that I’m able to cover the 42km (26.2 mi) on race day. Training to climb Mt Kilimanjaro, however, is a different beast. It may go without saying, but I would suggest that you are fit and healthy when you sign up to tackle the climb, with time to make training additions to your life. Alternatively, if climbing to the Roof of Africa has been a lifelong dream, give yourself adequate time to get into “peak” physical condition; the better prepared you are, the more enjoyable the hike. 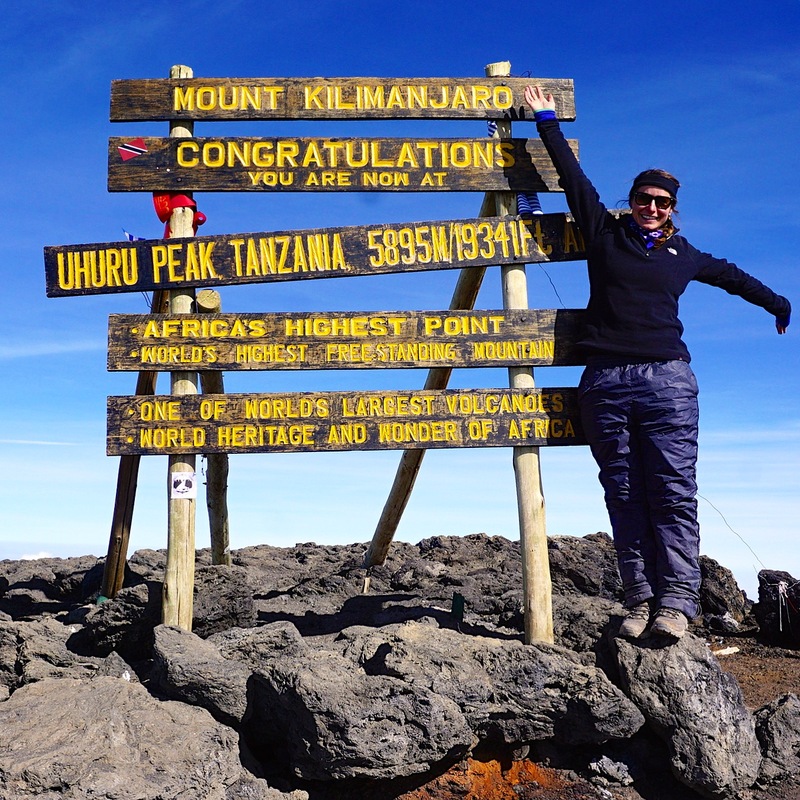 Here are some of my tips on how to get yourself Kili-fit! You’re going to be walking for seven to 10 hours a day, depending on pace and route. Cardio training will help improve your cardiovascular system and fitness, enabling your body to utilize oxygen more efficiently. Running, cycling, and swimming are all great aerobic workouts. 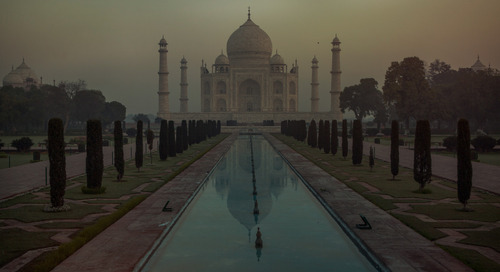 Aim to build up your endurance over a couple of months before your trip. Find some hills to run or cycle up, or crank the incline on a treadmill to simulate the uphill effort you’ll be making on Kilimanjaro. Cardio training will help improve your cardiovascular system and fitness. 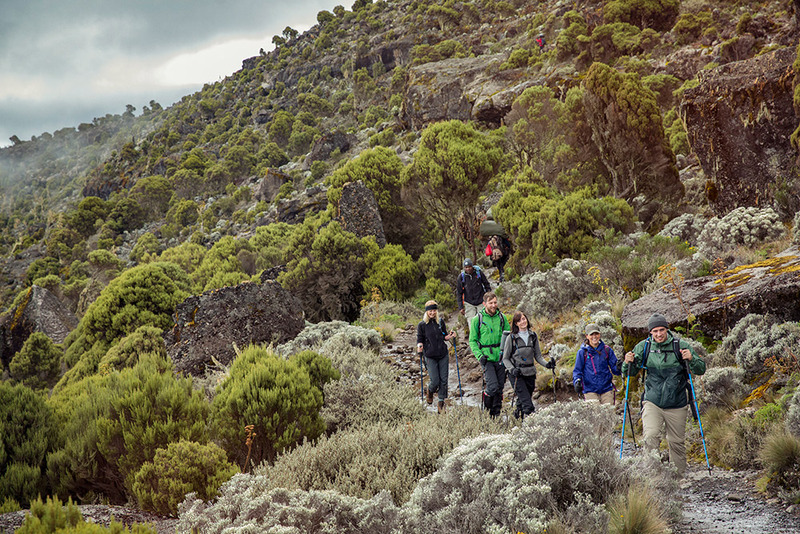 It’s also a good idea to get some day and multi-day hikes under your belt, all the better if you can go with the friends or family you’re hoping to tackle Kili with. Did I mention that you’re hiking for up to 10 hours a day? The route is mostly uphill, although the trails do undulate, and you will be carrying your day pack — although thank goodness for the “G Fighters” (porters) for carrying up our overnight bags, tents, and food! For this, you’re going to need a good amount of lower body strength, so adding in some leg workouts as well as core stability and arm training to a gym routine will help. The route is mostly uphill. Workout classes like BodyPump, where you’ll be squatting, lunging, completing box jumps and step-ups, are great preparation (both weighted and body weight — whichever is your preference and workout level). Planks, pallof holds, and renegade rows will work your core, arm, and shoulders. 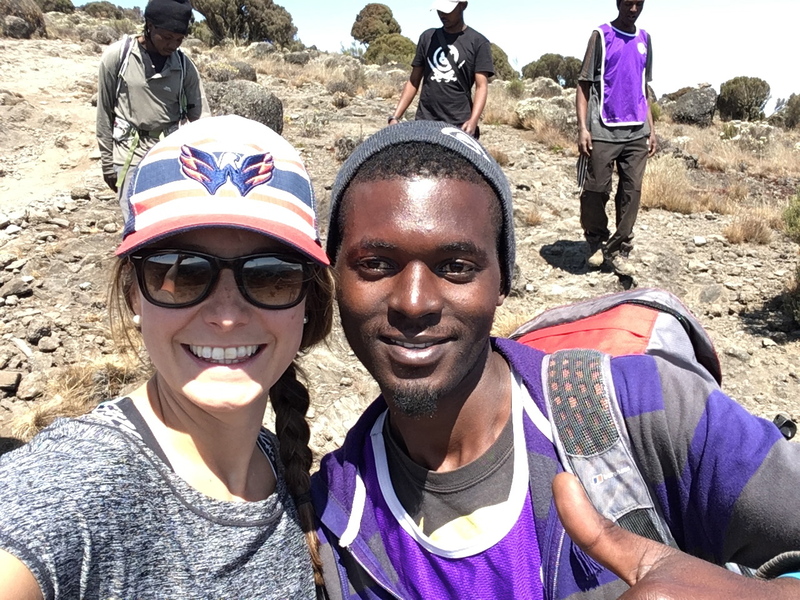 The effect of the altitude is the most humbling part of your Kilimanjaro climb. It does not discriminate between age, gender, or fitness level, and can hit when you least expect it. There are a couple of ways to prepare for it; first, by working on your cardiovascular fitness, and second, by training at altitude and allowing your body to become accustomed to the lower oxygen levels. Altitude sickness can hit when you least expect it to. There are altitude centres in major cities across the world, such as The Altitude Centre in London where you can work out at 2,750m (9,022 ft) above sea level, either in a solo bike or treadmill session, or group class. 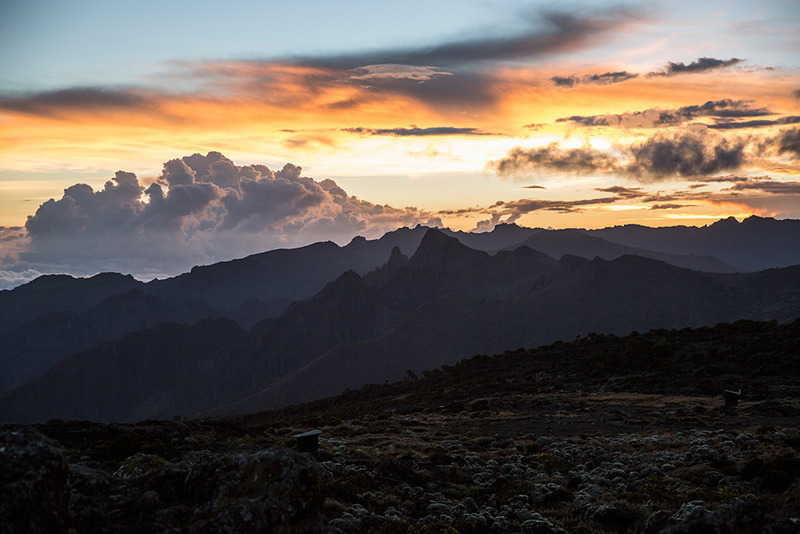 This is great preparation for your trip and regular workouts should help to limit the effects of altitude when you get to Kilimanjaro’s trailhead. I won’t lie, I cried a lot on summit night. I cried with exhaustion, I cried because of the cold, I cried because I thought I was never going to reach the top. But I also cried with relief, with joy and pride, and with overwhelming gratitude for our G Fighters and the rest of my group. David was my G Fighter and he made my trip a once in a lifetime experience. I believe that having the mental strength and determination built up over the years of running helped get me to the top of the mountain. However, if you don’t have a background in endurance events, you can develop your own mental resilience through mindfulness and meditation practice, as well as yoga during your training. This often overlooked aspect of the challenge is fundamental, in my opinion, and key to reaching the summit with a smile on your face! Having the mental strength and determination helped get me to the top of the mountain. 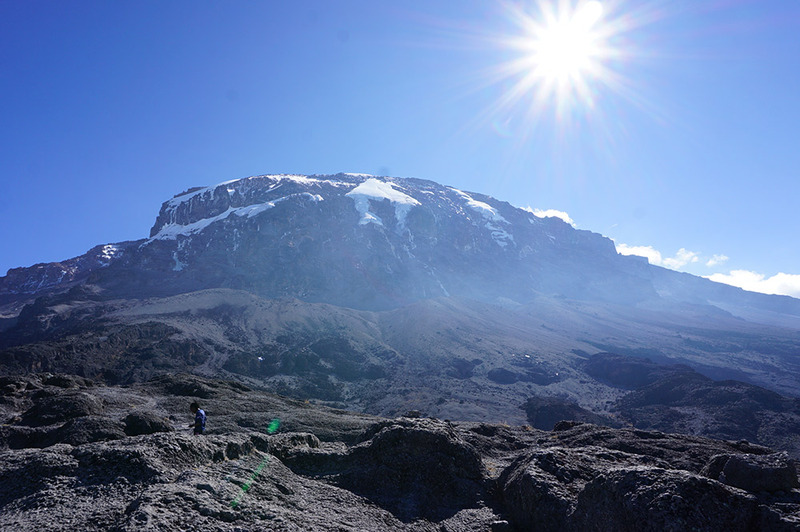 G Adventures runs a number of departures to Kilimanjaro encompassing a wide range of departure dates and activities to cater to different tastes. We’re thrilled at the prospect of showing you this big blue planet of ours — check out our small group trips here. 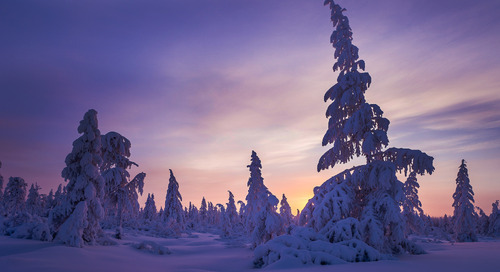 Celebrate Christmas alongside gnomes, gingerbread towns, and the northern lights in Norway.